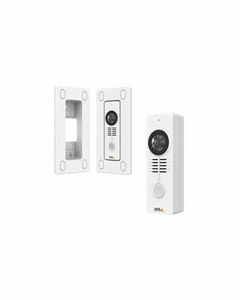 AXIS A8105-E doesn’t just let you identify and control who enters your premises, it connects to your system just like any other surveillance camera and records what’s happening outside your door. Integrated video analytics, such as AXIS Video Motion Detection alert you of threatening events or vandalism so you can call for help – and you’ll have a visual record of the incidents. In addition, AXIS Camera Application Platform allows you to easily integrate other video and audio applications from our partners that improve surveillance systems and facilitate investigation.